Spring is a time where you need a few different types of jackets because the weather is so unpredictable. It could be sunny and hot on a Monday and then pouring rain Tuesday. Spring is definitely the season of jackets. The more the merrier, as they say! Or, it is just an excuse to go shopping and buy a new jacket. Today, I wanted to share my top 5 jackets for Spring and what they’re great for/how to style them. The bomber jacket is my fav for Spring because you can literally wear it with everything and it will work. Pair it with some blue skinnies, a tee and sneakers. Wearing a trench just makes you feel fancy and classy, am I right ladies? This option is great if you wear more business/business casual outfits on a daily basis. I love the light grey colour for the Spring, it will brighten up any outfit. I called this one the unique jacket because there is always trends for the Spring season and this is where you can go ahead and just buy what is trendy. Suede and fringe are a huge hit this season and it’s a great style to wear as a statement piece. Classic. I do not feel the need to explain why a leather jacket is necessary for Spring. I do like the longer, motto style jackets because they give off a cooler vibe, compared to the cropped, no buckle styles. I love how there are so many different styles of denim jackets, cropped, oversized, ripped, bleached. The options are endless, and it is finally cool to wear denim on denim again! This jacket is great to wear with jeans, leggings, joggers for a more casual vibe. 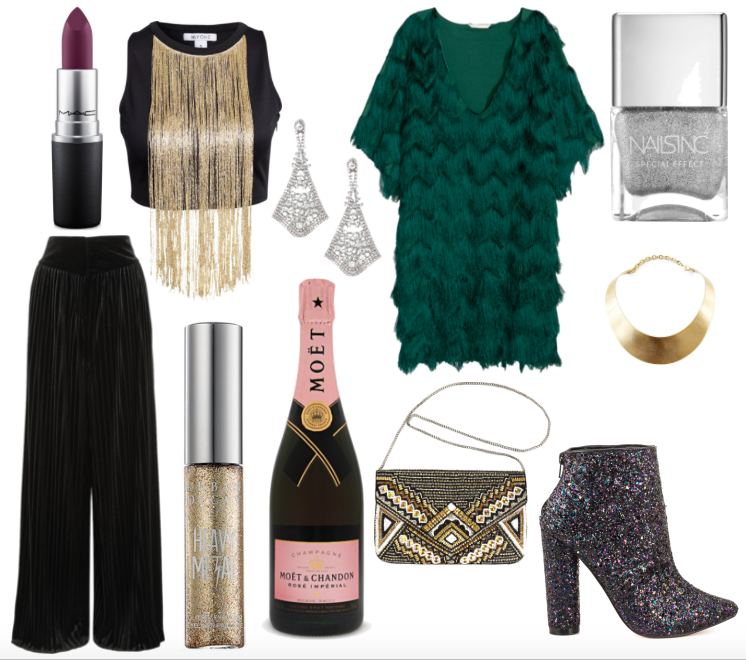 New Years equals sparkles, glitter and sequins. There can’t be one outfit or makeup look without one of those three. 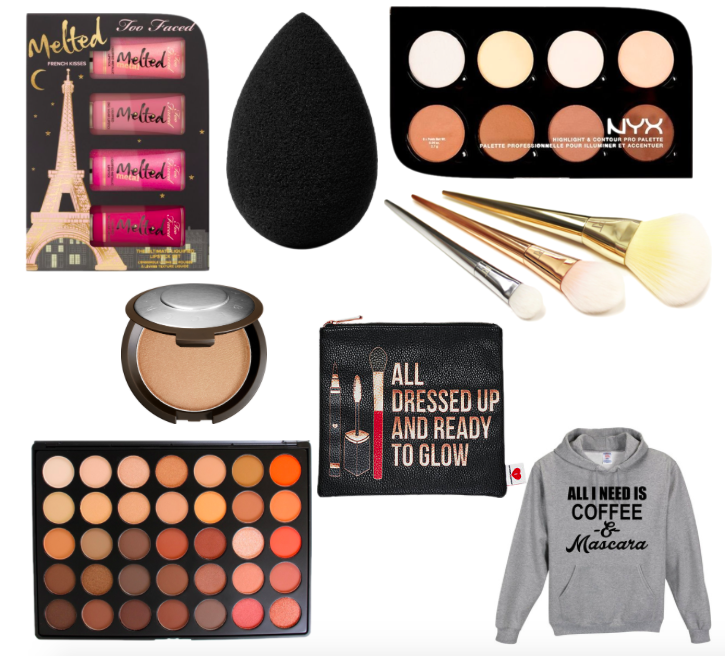 I wanted to share some of my favourites for New Years, from makeup, to shoes to accessories. I hope you get some inspiration, because if you’re like me and have no clue what to wear or what makeup look to do, then you will need some inspiration.